YOU’RE READY TO SAY YES TO YOURSELF, YOU JUST NEED A GUIDE AND A PLAN AND A SAFE PLACE TO START. In this eight-week experience we’ll create community together and work through your story to get you on the path to self-love and healing. 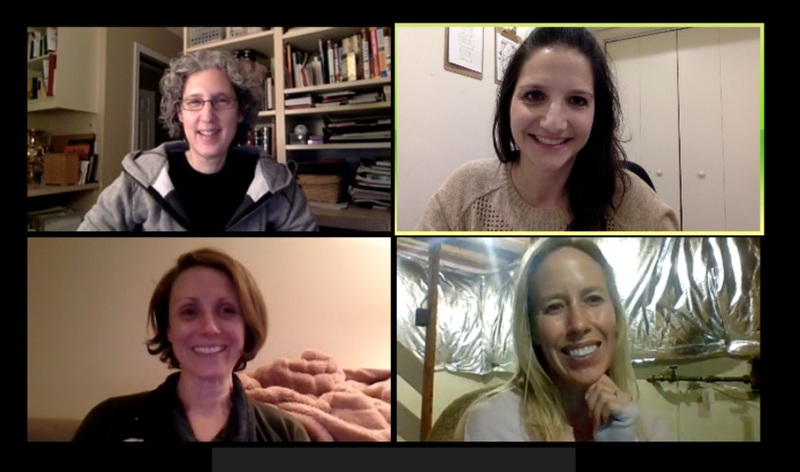 Community: Weekly online get-togethers with a small group of women, to be seen, heard, and understood. Individualized Support: A one on one call with Rachel to focus on reframing your personal story. Weekly encouragement, guided journaling/prompts and homework: I show up for you each week with loving encouragement and you show up for yourself to start making shifts in your story and life. WANT A SNEAK PEEK OF THE THEMES FOR EACH WEEK? Week 2. Creating Ritual: what is sacred to you? Week 4. What is the story that you need to tell? It’s a big deal to spend this kind of time, money, and energy so you should be taking the decision seriously. You’re dedicated to personal growth and recognize that this process is not always a straight line and that it takes attention and intention from you. You want more presence and peace and you’re willing to go past the excuse of “I don’t have enough time” (with my help and guidance!). You want to be supported and held by a community of women with diverse stories and unique voices brought together for a higher purpose of finding fulfillment and self-love. You are willing to be authentic and give your energy to the women in your group. You have a personal story you want to explore and you are willing to share of yourself in a safe environment. You post only the highlight reel on social media and you are not interested in getting past the surface to the vulnerable place where the real story lives inside of you. You are not willing to dedicate yourself to the weekly offline exercises, which include writing practices. You are not interested in authentically sharing your experiences and feelings with other women. You don’t see value in providing every woman with the opportunity to voice her own story. + What is the schedule? A. You will receive your first week's materials on April 23, 2019. We will have a live, online video class each Monday from 8-9PM Eastern Standard Time. Our first group class will be on April 29, 2019. Our last class will be on June 17, 2019. If you can't attend live the recordings will be available. + Can I still enroll if I can't attend all the live classes? A. Yes. Keep in mind that building connections with the other women in the class is a huge part of the program itself. Please show up for them like they will show up for you. That said, life is unpredictable and missing one class is not a big deal. + Do I need to have writing experience? A. Not at all! Our goal is to find healing in our writing; if you are interested in publishing your story we will support you, but publishing is not the focus of the program. + What happens if I join and I'm not a good fit? A. I will offer a full refund within the first seven days after the program starts if you find it's not for you. After April 30, 2019, no refunds will be given. Ask yourself if you are ready to examine your story (because it does take work!) and contribute to this community before you commit. + How much time will this take? A. Each weekly class will be one hour. Part of this experience is about looking at our time in a new way. So, while you are expected to dedicate time each week (~2 hours) outside of the group class to complete your writing prompts and exercises, a lot of this is about practicing more BE-ing instead of DO-ing. I will hold your story so you can breathe. The seed for Orchid Story was planted when I created and shared the story of my son’s diagnosis of severe congenital heart disease. I realized the true power of delving into, reframing, and sharing our stories. I want to share this power with other women - that is what fuels all of this. I’ve learned that women need space and support in order to examine their painful stories. If we can find our way to a new ending there is freedom, peace and a sense of purpose. Since Orchid Story started in 2016 I have worked with many women who feel their lives have been divided into the before and after by some big event. I’ve been a practicing genetic counselor for 13 years and bring all of the counseling skills I’ve gained into this work. My work has been featured by The Huffington Post, Rebelle Society, Listen To Your Mother, and others. I’m going to lead you through this journey, while traveling alongside you, learning from you as you learn from me.